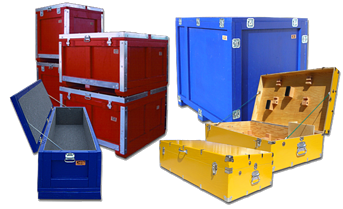 If you're a manufacture who routinely has shipping crates returned to your facility, then you know investing in custom shipping crates can reduce your bottom line costs! But have you considered ways to take your custom shipping crates to the next level? After all, your team and intermediate facilities will be working with these wooden crates over and over again. You may want the wooden crates to stand out, facilitate easy loading/unloading, cope with rough handing or be easy to open and close. 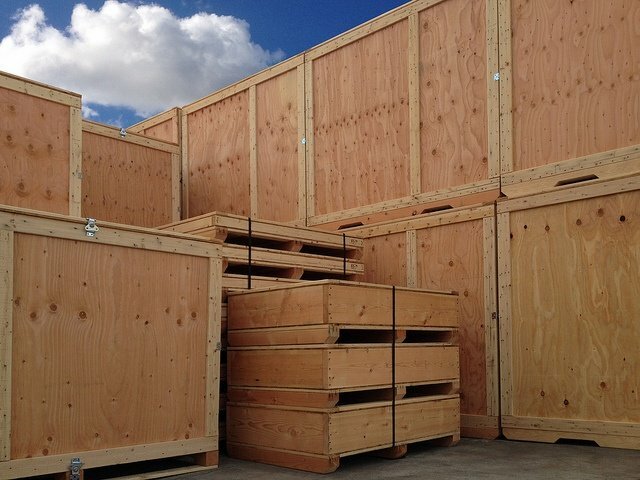 Show your company's confidence and creativity when it comes to your custom shipping crates. 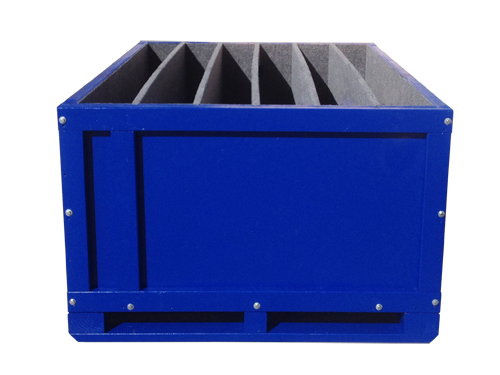 A painted custom shipping crate can be easily identified when among a crowd of other crates. You can match the color to your company's brand efforts and add stencils of your logo. Dazzling colors will certainly help your product's wooden crate stand out! But, did you know paint will help prolong the life of your crate because it offers both UV and weather protection? 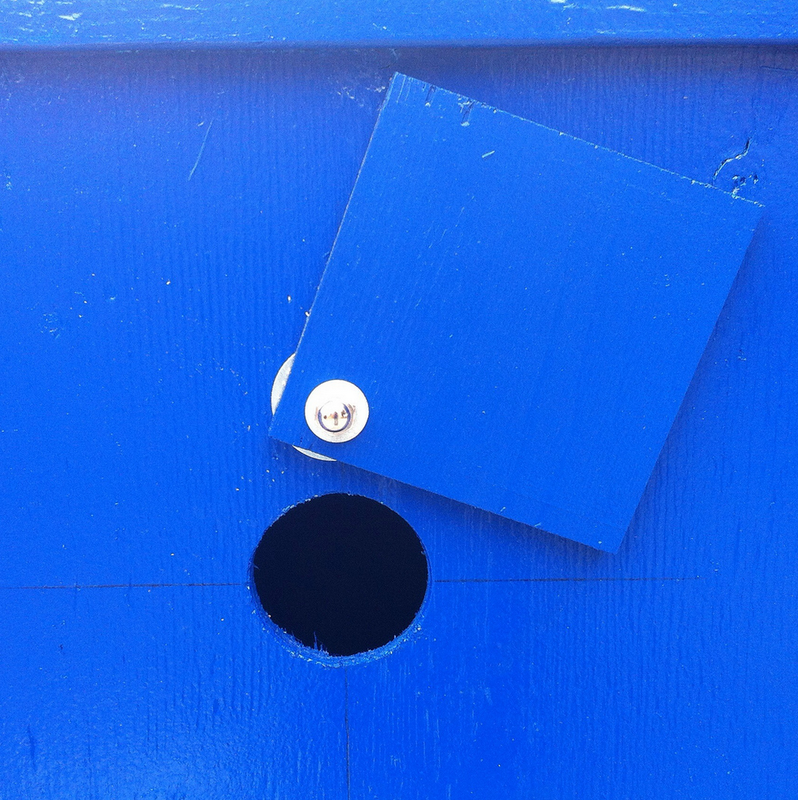 Surprise the person opening your crate with thoughtful textures inside! Packing crews will be delighted to easily slide in products over plush carpet or smooth delrin surfaces. They'll be amazed at the ease of supporting fragile parts atop cushioned foam or shock absorbing rubber. Assess your products features and talk to your packaging provider about what textures will best suit your needs. Adding protective steel components to your crate will help to prevent damage from forklift tines and shipping wear and tear. 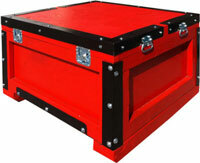 Steel improves the integrity of a crate in a simple inexpensive way. Steel is stronger and is more compact than a comparable wood reinforcement. 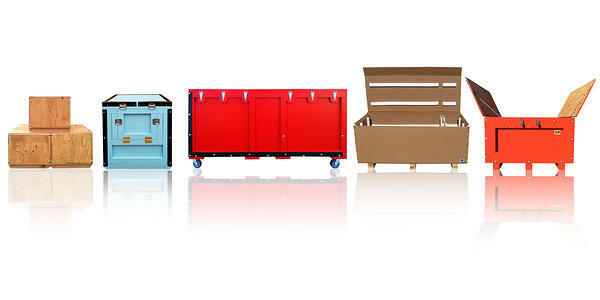 Valley Box's can add custom sized steel to wood containers to increase their lifespan and performance. Welded tie down points for lifting or securing the load. Speed up inspection time with inspection windows. 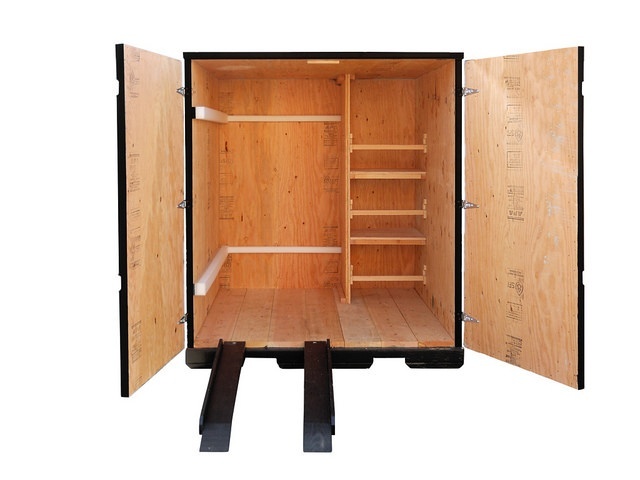 By adding a viewing port on the exterior of the wooden crate employees and customs inspectors can verify the contents without having to take apart the crate, which in some instances require tools.